In a move not seen since the iPhone SE, the iPhone XR is not a step up from the iPhone 8 or even the iPhone X. Select your desired options to find the best Apple iPhone Xr deals for you. Overview Features Why Choose Fonehouse? Never ones to pander to the conventional last year Apple released the iPhone X at what seemed to be a random point. This year they have chosen to release three new handsets and among them is the iPhone Xr. Described as a way to make their technology more widely available the iPhone Xr is a cutdown phone, something we haven’t seen from California’s technology giants since the iPhone SE, but a move that seems to have been well received. While it is touted as being cut down, we actually found the handset to be packed full of great features and functionality. While there are some differences between this and the higher models the handset is incredible and well worth a look. 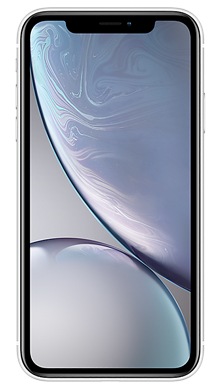 It was likely that the OLED screen would be one of the changes that Apple would make and this has indeed been replaced by an LCD screen, but this is their all-new Liquid Retina display which is the top end of LCD screens and still delivers an impressive visual experience. In terms of looks, the phone is an infinity screen which will be a favourite move and has a larger notch at the top that handles the front-facing camera technology. The handset has a true edge to edge viewing thanks to the backlight that is another new feature. Like the other new phones in the fold, the iPhone XR has facial recognition technology as Apple has removed the fingerprint technology, meaning you have enhanced security which was perhaps a feature not expected at this level. The iPhone XR has haptic responses making it a joy to use. The iPhone XR features the same IP67 rating seen on many of their other handsets meaning that an accident dunk in water or a spilt coffee will not be the end of the world. The iPhone XR is a more playful handset as Apple has chosen to bring out their coloured cases once more in a move not seen since the iPhone 5C, and this handset comes in Red, Yellow, Coral, Black, White and Blue. The back is finished in glass but the depth of colour is outstanding and around the sides is the trademark aluminium band finished in the same colourway. We know that Apple audio is good, which in this case makes this even more likely to find itself a gaming handset as well as one more than capable of streaming movies and music. Gamers are always on the lookout for handsets that offer them a larger screen, fast processing and of course sound for the in play action. One of the things that have been reduced is the camera technology as the iPhone XR only has one rear facing camera; however, this has been handled well and again it delivers a photographic performance of a much higher quality that one might and is still a weighty 12MP lens. The front facing 7MP camera is also great for selfies. Inside the phone, the new A12 Bionic processor makes an appearance and is a really featured packed piece of kit that again is perhaps something you wouldn’t expect for a phone at this level. It also powers the iPhone XS and the iPhone XS Max and features the Neural Engine for amazing advancements in mobile augmented reality and gaming technology. The gaming potential is definitely there for this phone, and it will be able to take full advantage of the new augmented reality games that are starting to flood the market. Thanks to the 1792x828 resolution and the 326ppi you can be sure that game graphics are going to be of a high standard and complete the fully immersive nature of gaming. The Neural Engine is a machine learning tool that can spot patterns and predict behaviours thereby learning. 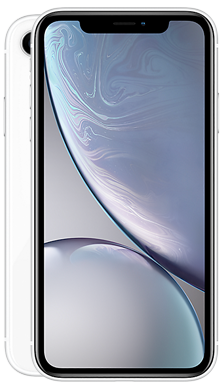 The phone is running iOS 12 which is the latest incarnation and the power it offers as a combination make this one awesome handset. The iPhone XR is a dual SIM handset with the ability to take a standard nano-SIM and an eSIM which gives this even more functionality. 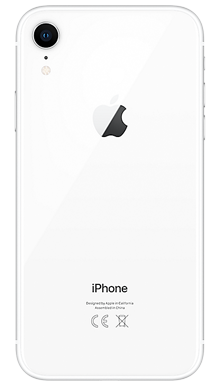 The FaceID which comes as standard means that Apple Pay receives an upgrade on this handsets, and offers full functionality which is great, and more secure than chip and pin cards as your facial recognition is required before your Apple Pay can be used. There are plenty of memory options here, with a 64GB, 128GB and 256GB version on the market offering great customisability. 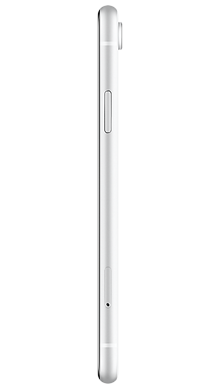 The battery life is good, and will easily last the full day which is helpful for busy lives on the move. Although Apple has marketed the iPhone XR as a cut-down phone we tend to disagree; it is so packed with features it really is a beautiful handset to own. Everything you could need and more has been packed into this handset making it a great choice for those on a budget. The only thing that is really less is the price tag so you can be sure of many great deals on this phone. Here at Fonehouse our fabulous team have been hard at work scouring for the best possible deals on the iPhone XE. They have found so many deals you will be blown away by the amount of choice on offer. Our exclusive partners EE and Vodafone give us the confidence that we are offering our customers the best in network service and connectivity wherever they are. Both providers also have a great range of extras on offer. So if you are looking for deals that have BT Sport or Apple Music on offer, have a look at EE, or if Sky Sports and Spotify are more your things then check out Vodafone. 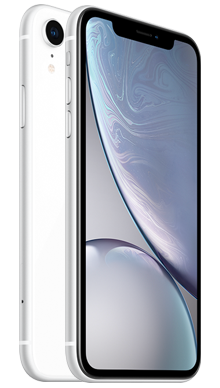 For any questions you might have about the iPhone XR, or if you have questions about any one of the specific deals with Fonehouse, then why not call one of our excellent customer service team today, on 0333 900 1133.